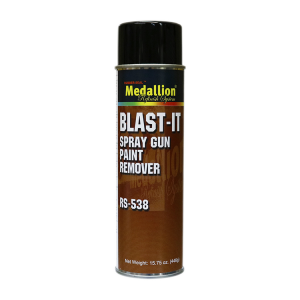 A high-pressure aerosol spray gun cleaner formulated to remove urethanes, polyesters and waterborne paints from external and internal spray gun parts. Dissolves waterborne paints without making a gummy mess. Packaged with an extension tube for cleaning internal parts.